A senior policeman in Chiang Mai has said that youth in Chiang Mai are increasingly being lured by advertising to bet at online parlors in the city. 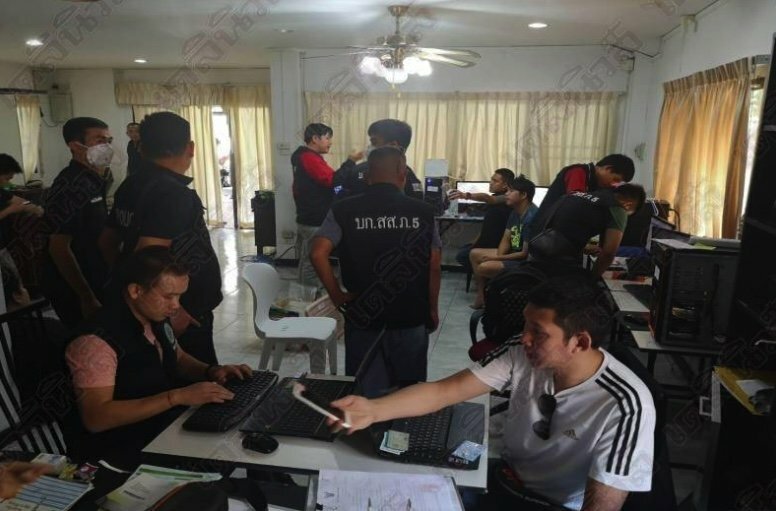 Pol Col Thawatchai Pongwiwatanachai was speaking after a bust of five people running an online gambling den advertised under the "Uefa 78" banner in Mae Hia sub-district of the northern Thai city. The five admitted to having a membership of 600 people who would bet on football, basketball, boxing and casino games. They were able to afford to rent nice houses in the city on their cut. Thawatchai said young people in Chiang Mai were stealing from their parents to fund gambling addictions. When there is no legal gambling except the pathetic lottery, illegal gambling flourishes, from this instance to the underground and border casinos that operate. Singapore finally realized they were losing out on a lot of tourist money and reversed their previous casino ban. As with alcohol and cannabis prohibition as the US found, a regulated, taxed industry is much better for the people than a ban. Gambling could be legalised in Thailand, but can you imagine the corruption involved !